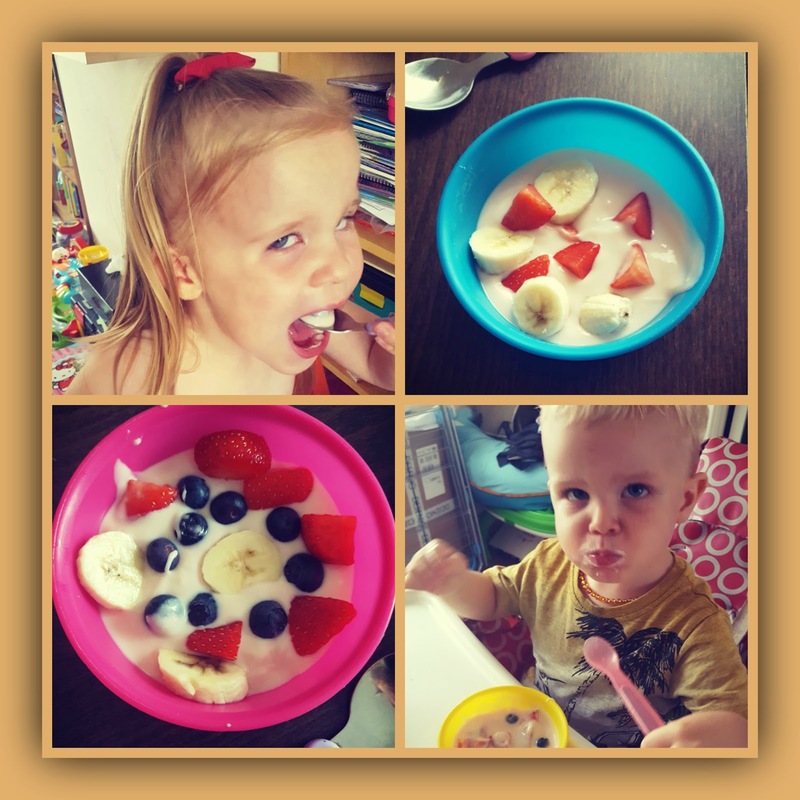 The Hart of the Munchkin Patch: Homemade Yogurt is Easy with EasiYo! 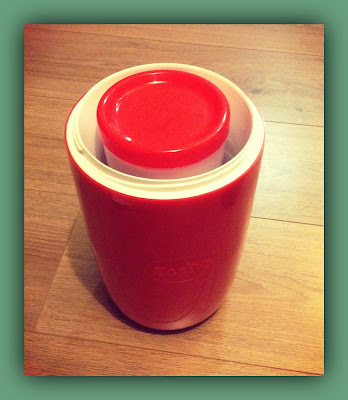 Homemade Yogurt is Easy with EasiYo! In our house, we go through a fair few pots of yogurt! All three kids absolutely love it, but until recently, they would always insist on usually sticking to the flavours that they were most familiar with. This meant strawberry, raspberry, apricot and occasionally toffee flavours would be all that would be considered by the children. 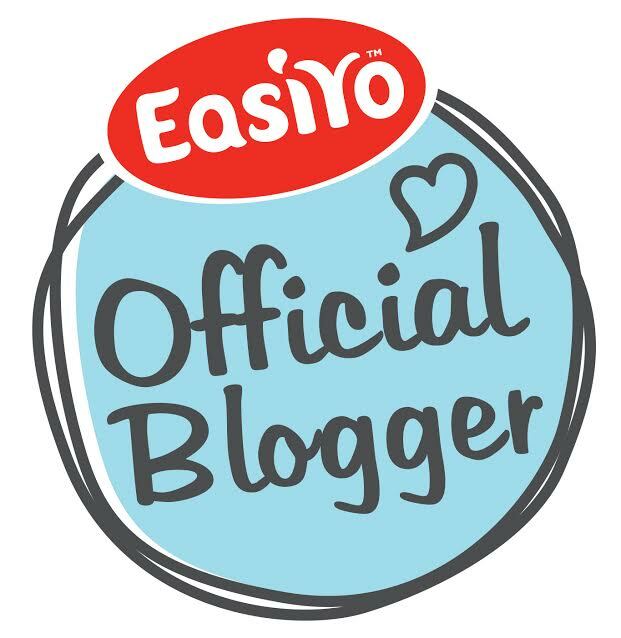 Therefore, when we were offered the opportunity to try out the wonderful EasiYo, I thought it would be the perfect opportunity to encourage the kids to experiment with some exciting new flavours. As a busy mum of three little whirlwinds, I have very little spare time on my hands. However, with EasiYo, making real yogurt is so much quicker and easier than I ever could have imagined! The maker itself comes ready to be used straight from the box. 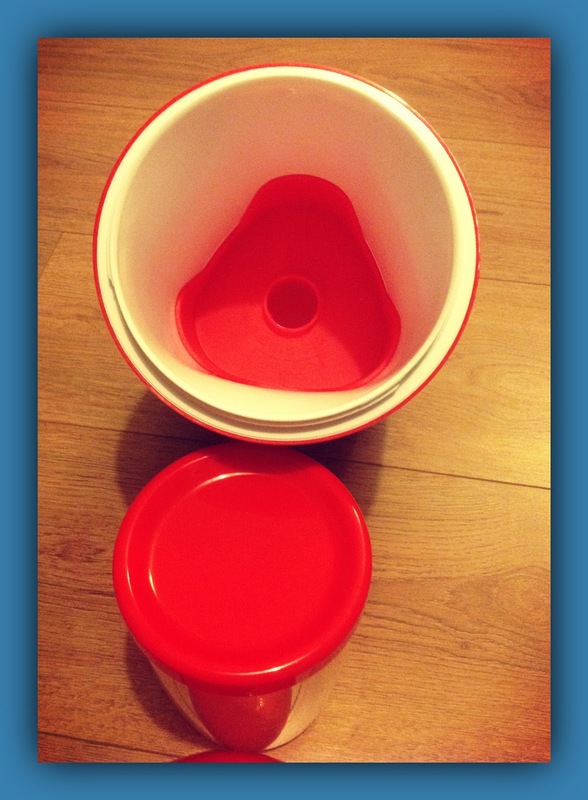 Compact enough to sit on the kitchen side yet spacious enough to make up 1kg of real yogurt at a time, I will wholeheartedly recommend this to any yogurt loving family. The process of making the yogurt is so simple too. I tend to make it up in the evening, and then, by morning breakfast, we have a tub full of tasty yogurt to enjoy! It is so easy, even the kids can get involved with the making process! As you can see, the maker itself it compact, and EasiYo yogurt is made using their sachets of flavoured powder. 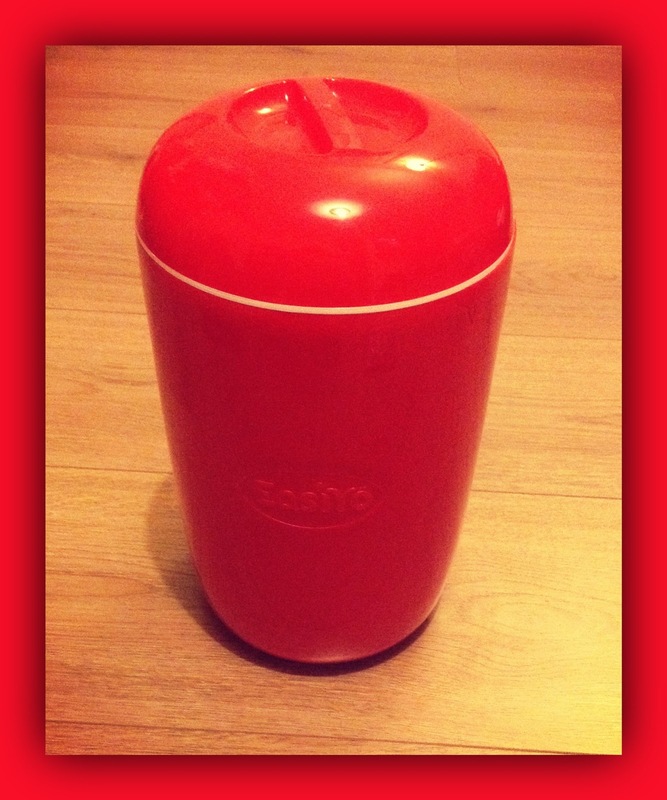 The flavours that are offered by EasiYo are divided into different categories. The everyday range includes their selection of plain flavoured yogurts and smoothies, the fat free and low fat range offers their low fat sweetened varieties, and their gourmet range includes their thickest and creamiest yogurts, some of which contain fruit pieces. Initially, we were sent the Forest Fruits yogurt and the Greek Style Rhubarb flavour. The kids decided they wanted Forest Fruits first, so I unboxed the maker and set about making our first batch. 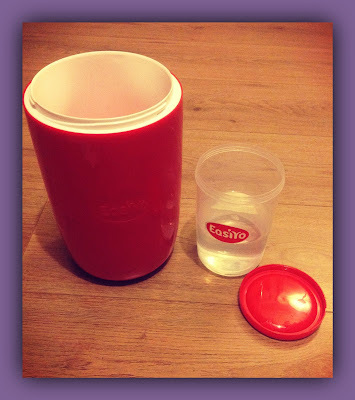 Add the entire contents of the sachet, secure the lid of the jar and shake well. Then add more water to the fill line and shake again. Ensure the red spacer in the base of the maker is securely pushed to the bottom and pour boiling water to the top of the spacer. Finally, place the jar inside the yogurt maker and secure the lid. Leave the yogurt maker at room temperature for 8-12 hours (or until the yogurt is set) It is fine to leave the maker in these conditions for up to 24 hours. Once the yogurt has reached the right consistency, remove the jar from the maker and store it in the fridge. 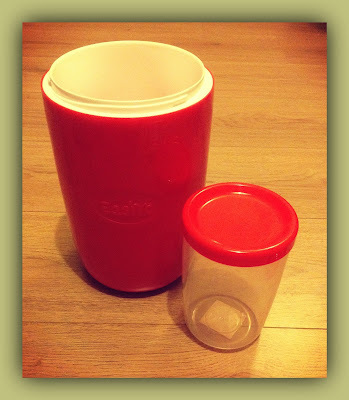 As mentioned earlier, one sachet makes 1kg of real yogurt, and the whole lot can be stored in the fridge in this easy to use, easy to clean, convenient plastic jar. 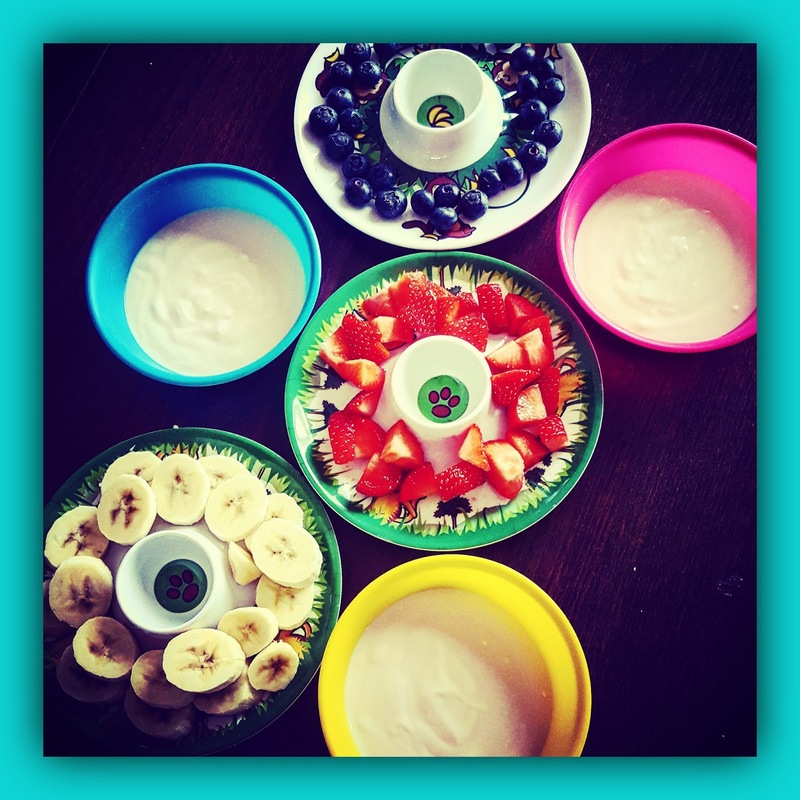 The children each chose a fruit to prepare to accompany their yogurt. Munch chose strawberries, Beastie chose blueberries and Plumlet went for bananas. We sliced their chosen fruits and laid them all out onto plates for them to help themselves and to add their desired fruits to their yogurt. Needless to say ... we were left with completely empty plates and bowls ... and met with requests for more! 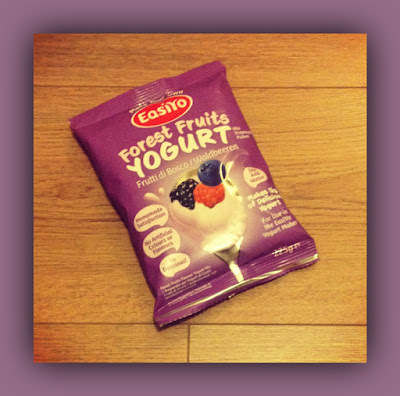 Some may believe that it is easier and quicker to buy pre-packed yogurts for the family, however, there are a number of health benefits to choosing fresh EasiYo yogurt. What I didn't realise is that to gain the full health benefits of yogurt, the cultures found in it need to be live. Once fermented, these live cultures only last for a few days, so you can only be sure that you are receiving optimum goodness that you expect to gain from yogurt if you choose freshly made. Chilled yogurt from the shop may have been sitting inside their containers for days, maybe weeks, therefore the live cultures are no longer there. And with absolutely no artificial preservatives in EasiYo products, you can be sure that you are offering your family the best. I believe, when it comes to giving EasiYo your custom, the only problem you will encounter is with selecting your products! With such a huge variety of flavours, it may be difficult to know where to start! 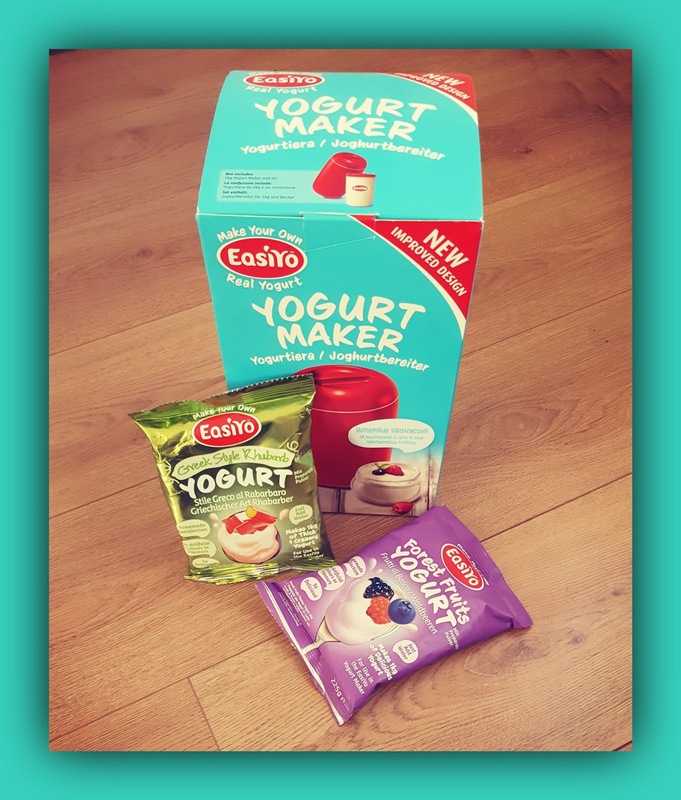 EasiYo offer a Starter Pack which includes a yogurt maker with a 1 Litre jar and 4 delicious flavour sachets, all from their Greek Style range; one Coconut Gourmet yogurt, one Rhubarb yogurt, one Unsweetened yogurt and one sweet yogurt. That's enough to get anyone started, and at the special price of just £16.99 (RRP £27.83) until early next year, there's even more reason to try it out! 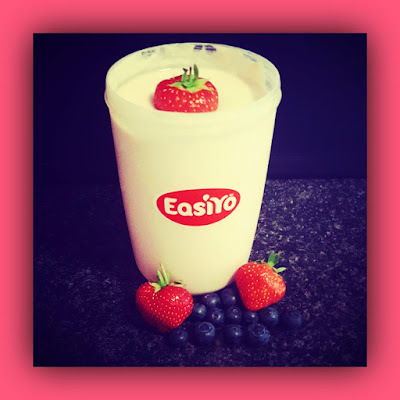 With all of the health benefits i previously mentioned and with how simple it is to make this delicious yogurt, there are so many reasons to choose EasiYo! 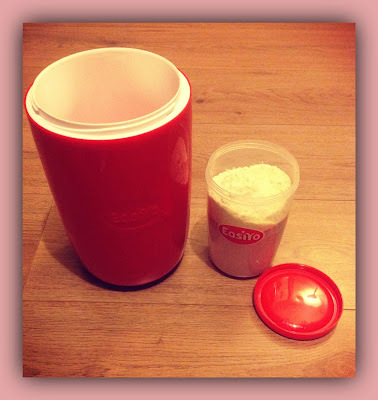 It tastes good, it's packed full of healthy goodness and we all know that homemade is the best option when possible. And with EasiYo, it is very possible. So take just 5 minutes out of your day to make something yummy that the whole family can enjoy and give EasiYo a whirl. You won't be disappointed. We most certainly weren't! We can't wait to try out some of the other amazing flavours that EasiYo offer! 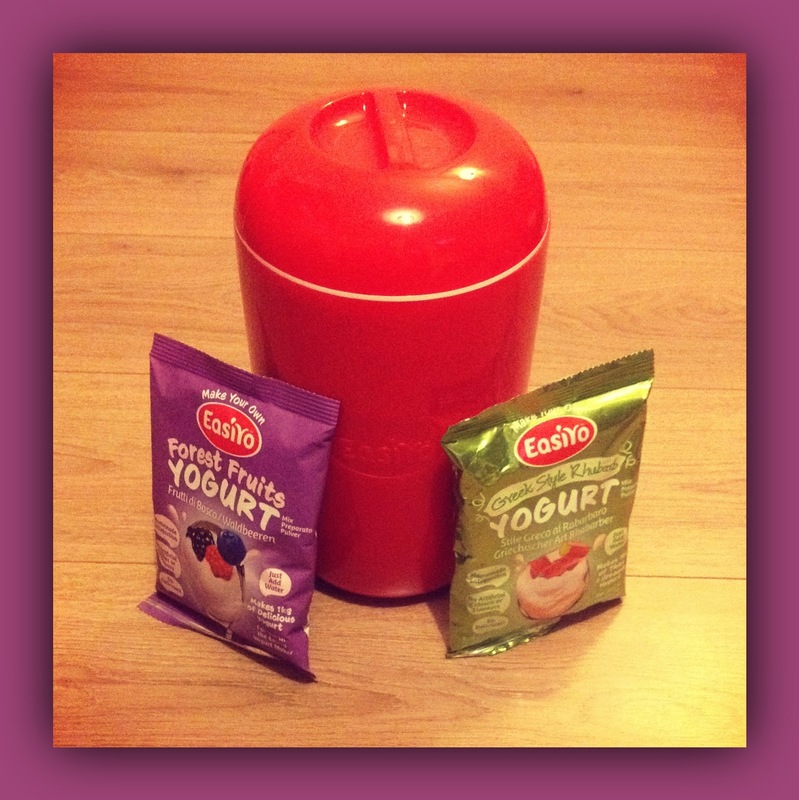 As EasiYo bloggers, we were sent an EasiYo yogurt maker and some flavour sachets to sample for the purpose of this post. 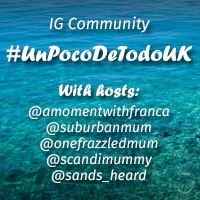 No other payment was received for this post and all words and thoughts are 100% our own. Making Disney dreams come true ... on the ice! Mirrors ... Signal ... Drive Like A Parent! Playtime is brighter with Brightlings! Every day is an adventure with Peeka Puffs!